The White House released a 4-page document setting forth its case for use of chemical weapons by the Syrian government. But as shown below, the case is extremely weak (government’s claim in quotes, followed by rebuttal evidence). 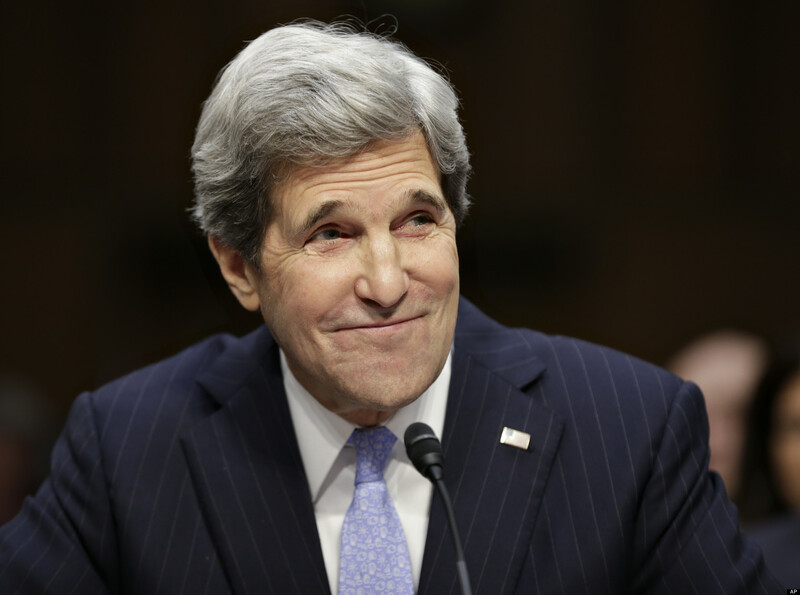 He criticized Kerry as being “sandbagged into using an absurdly over-precise number” of 1,429, and noted that the number didn’t agree with either the British assessment of “at least 350 fatalities” or other Syrian opposition sources, namely the Syrian Observatory for Human Rights, which has confirmed 502 dead, including about 100 children and “tens” of rebel fighters, and has demanded that Kerry provide the names of the victims included in the U.S. tally. Reports on the ground are contradictory, with some claiming that the rebels used the chemical weapons. See this and this. Indeed, government officials have admitted that they’re not sure who used chemical weapons. More importantly the U.S. government claimed it had unimpeachable sources regarding Iraq’s WMDs … and that turned out to be wholly fabricated. Among chemical weapons experts and other analysts who’ve closely studied the Syrian battlefield, the main reservation about the U.S. claims is that there’s no understanding of the methodology behind the intelligence-gathering. They say that the evidence presented points to the use of some type of chemical agent, but say that there are still questions as to how the evidence was collected, the integrity of the chain of custody of such samples, and which laboratories were involved. Eliot Higgins, a British chronicler of the Syrian civil war who writes the Brown Moses blog, a widely cited repository of information on the weapons observed on the Syrian battlefield, wrote a detailed post Monday listing photographs and videos that would seem to support U.S. claims that the Assad regime has possession of munitions that could be used to deliver chemical weapons. But he wouldn’t make the leap. The bottom lines is that – even though the U.S. has done everything it can to derail a UN weapons inspection – we have to wait to see what the UN tests reveal. The rebels absolutely had had access to chemical weapons. While the American government claims that the opposition has not used chemical weapons, many other sources – including the United Nations, Haaretz, and Turkish state newspaper Zaman – disagree. The types of munitions which were apparently used to deliver the chemical weapon attack are an odd, do-it-yourself type of rocket. The rebels could have made these. “We assess that the Syrian regime has used chemical weapons over the last year primarily to gain the upper hand or break a stalemate in areas where it has struggled to seize and hold strategically valuable territory. In this regard, we continue to judge that the Syrian regime views chemical weapons as one of many tools in its arsenal, including air power and ballistic missiles, which they indiscriminately use against the opposition. “We have intelligence that leads us to assess that Syrian chemical weapons personnel – including personnel assessed to be associated with the SSRC – were preparing chemical munitions prior to the attack. In the three days prior to the attack, we collected streams of human, signals and geospatial intelligence that reveal regime activities that we assess were associated with preparations for a chemical weapons attack. Yet, after the August 21 event, the same information was suddenly transformed into “evidence” that supports the official line. Moreover, American intelligence sources have repeatedly been caught lying. During the run-up to the Iraq war, the government entirely bypassed the normal intelligence-vetting process, so that bogus claims could be trumpeted without the normal checks and balances from conscientious intelligence analysts. Israeli intelligence – which appears to have played a part in the Syria war brief – has been equally bad. Former top CIA intelligence officers confirm that the intelligence has been grossly politicized to justify war against Syria. This is an oddly-worded – and carefully crafted – statement. Assad has repeatedly warned that the rebels might steal chemical weapons and use them on civilians. The utilization of gas masks could have been a preventative measure because the Syrian government had received word that the rebels might carry out a chemical attack. More information is necessary. The area in which attacks occurred was heavily contested by the both government and the rebels, and both sides were in and out of the area. 90 minutes before the first attack is an eternity when fighting a war on a heavily-contested battlefield … and could have been plenty of time for rebels to slip in and fire off chemical weapons. It’s unclear why this is supposed to be persuasive. Do rockets take 90 minutes to reach their targets? Does nerve gas escape from rockets 90 minutes after impact, or, once released, take 90 minutes to cause symptoms? In a conflict as conscious of the importance of communication as the Syrian Civil War, do citizen journalists wait an hour and a half before reporting an enormous development–the point at which, as Kerry put it, “all hell broke loose in the social media”? Unless there’s some reason to expect this kind of a delay, it’s very unclear why we should think there’s any connection at all between the allegedly observed rocket launches and the later reports of mass poisoning. “Local social media reports of a chemical attack in the Damascus suburbs began at 2:30 a.m. local time on August 21. Within the next four hours there were thousands of social media reports on this attack from at least 12 different locations in the Damascus area. Multiple accounts described chemical-filled rockets impacting opposition-controlled areas. No one contests that some kind of chemical agent was used. The question is exactly what type of chemical it was and – more importantly – who used it. Moreover, the rebels were making propaganda videos for years … and they’ve gotten more sophisticated recently. More information is needed. Another conclusory opinion without evidence. More importantly, it is a red herring. No one is saying that the tragic and horrific deaths were faked. Zanders, the former EU chemical weapons expert, went even further, arguing that outsiders cannot conclude with confidence the extent or geographic location of the chemical weapons attack widely being blamed on the Assad regime. He singled out the images of victims convulsing in agony that have circulated widely on the Web, including on YouTube. The U.S. Navy’s own historians now say that the sinking of the USS Maine — the justification for America’s entry into the Spanish-American War — was probably caused by an internal explosion of coal, rather than an attack by the Spanish. Recall that Powell played tapes of Iraqi officials supposedly talking about concealing evidence of banned weapons from inspectors–which turned out to show nothing of the kind. But Powell at least played tapes of the intercepted communication, even as he spun and misrepresented their contents–allowing for the possibility of an independent interpretation of these messages. Perhaps “mindful of the Iraq experience,” Kerry allows for no such interpretation. [In addition] Powell … was presenting as facts numerous claims that his own staff had warned him were weak and indefensible. This is another red herring. If the Syrian government believed that the rebels had used chemical weapons on civilians, they may have increased artillery fire to flush out the rebels to prevent further chemical attacks. Again, further information is needed. And see these further details refuting the government’s argument for war.